The Green Man pub in Fitzrovia has just relaunched as The Greener Man with a brand new menu of innovative vegan and vegetarian dishes. 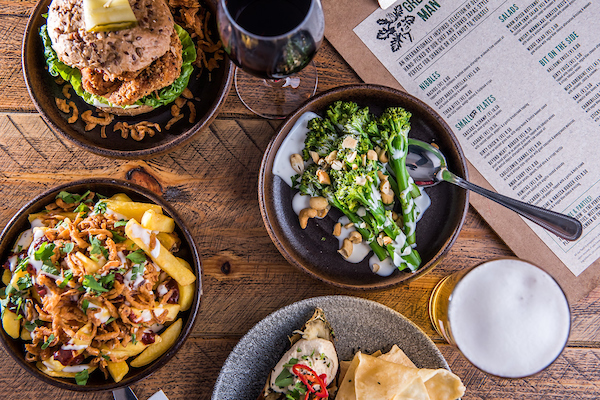 The Green Man pub, located at the heart of London’s Fitzrovia district, is going green in 2019 as its reopens as ‘The Greener Man’ as a meat-free pub with a delicious new selection of internationally-inspired vegan and veggie small plates. The new menu includes a tasty selection of plant-based versions of classic pub starters like nachos topped with chickpeas and melted vegan cheese, crispy baked tortillas with baked aubergine and tikka bites with raita sauce, mango chutney and flatbread crisps. Mains include hearty dishes such as red pepper macaroni with a garlic and herb crumb, roasted squash and pepper lasagne and amok curry with sweet potato, fried okra and crispy tortillas. 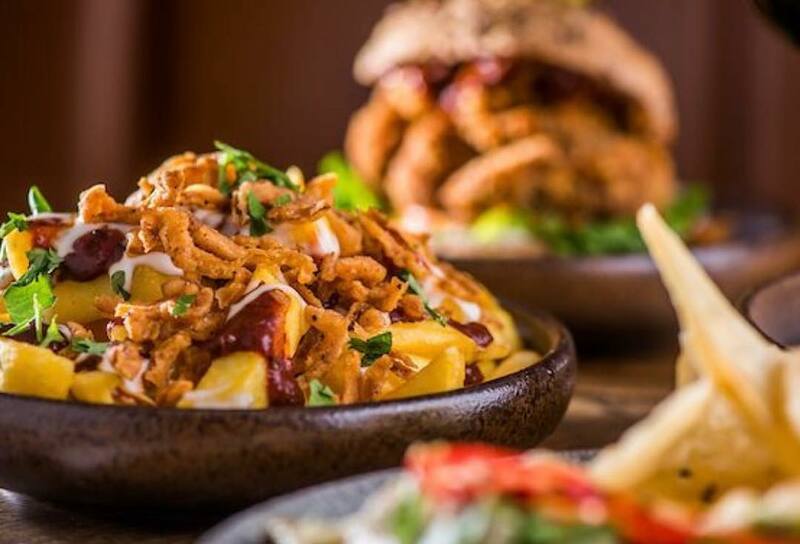 The Greener Man is also offering up more decadent mains such as the ‘Dirty Chick’n’ burger, which comes served on an ancient grain bun, with vegan mayo and Scotch bonnet sauce. You can also enjoy a side of dirty fries loaded with tinga sauce, vegan blue cheese dressing and crispy tobacco onions. 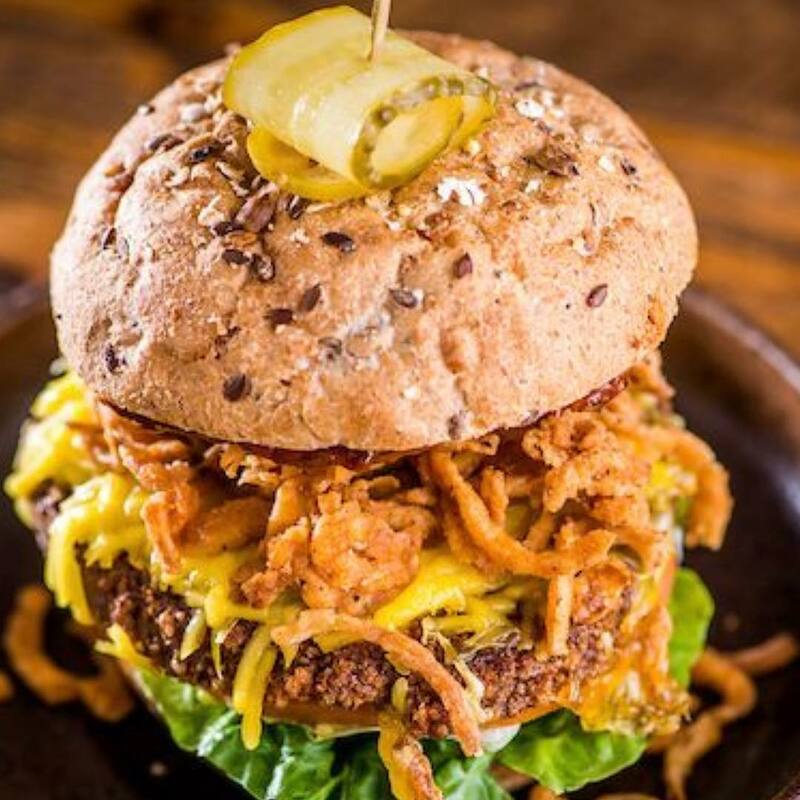 The pub is also selling a Beyond Meat burger topped with vegan cheese, vegan mayo, lettuce and tobacco onions in an ancient grain bun. For those who prefer a more traditional meat-free burger, the pub is offering an aubergine and harissa burger with hummus and vegan blue cheese dressing. Got room for dessert? If not then you’ll want to make room for the caramelised banana with pecan brittle and coconut mousse. The Greener Man joins the likes of other London pubs who have ditched meat such as Fullers, The Blacksmith and Toffeemaker and the Spread Eagle. Find The Greener Man at 36 Riding House Street, London, Greater London, W1W 7EP.